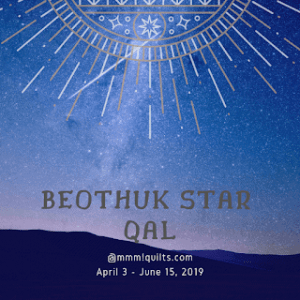 First, thank you to Carol at Just Let Me Quilt who has sponsored this for many years. 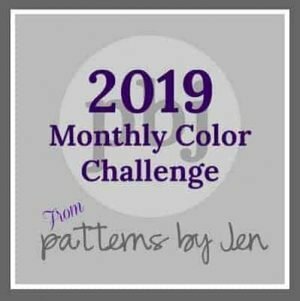 Oh yes, I did promise a giveaway and you will find it at the bottom of the blog….but first TRADITIONS! There are many Christmas Traditions that I love: candles, wreaths, lessons and carols, trees and holiday punch. My mother always made a whiskey sour punch – she was famous for it. Her secret ingredient was one can of beer to the whiskey sour recipe on the mix she bought. Everyone loved it, and, as the five children grew up, yes we did taste it. I don’t think any of us loved it, but we pretended to! Onto some fun for you! I made two things to share in this exchange. 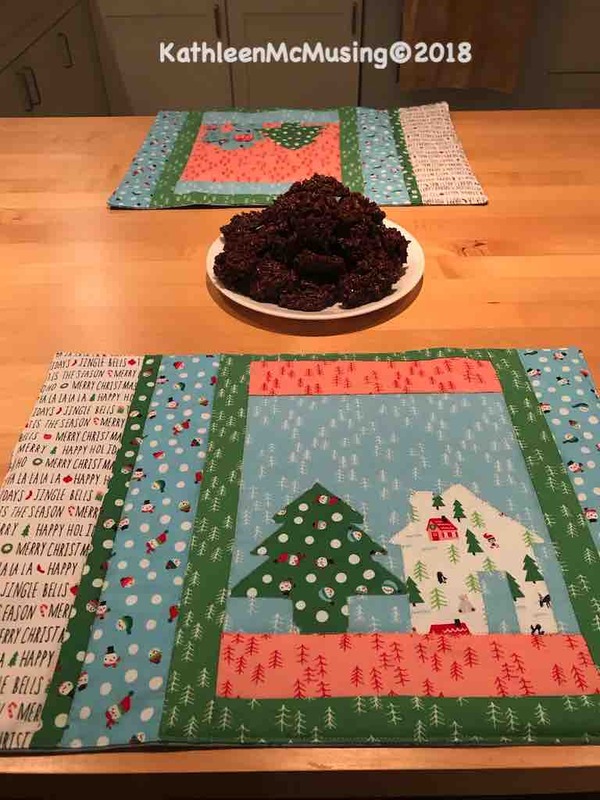 One is a set of placemats and the other is the cookie recipe. For some reason, I had a hard time thinking of what I wanted to do….I don’t know why. Part of it is that we decorate, but not excessively. I have a friend who it took 2 months and 28 box from storage to decorate (I miss you Trudy). So, I decided I would purchase a Jolly Box from the Fat Quarter Shop and whip up something when I saw what I got. Cookie Cutter Placemats are what I did! First sew the strip sets together to make the left and right side. 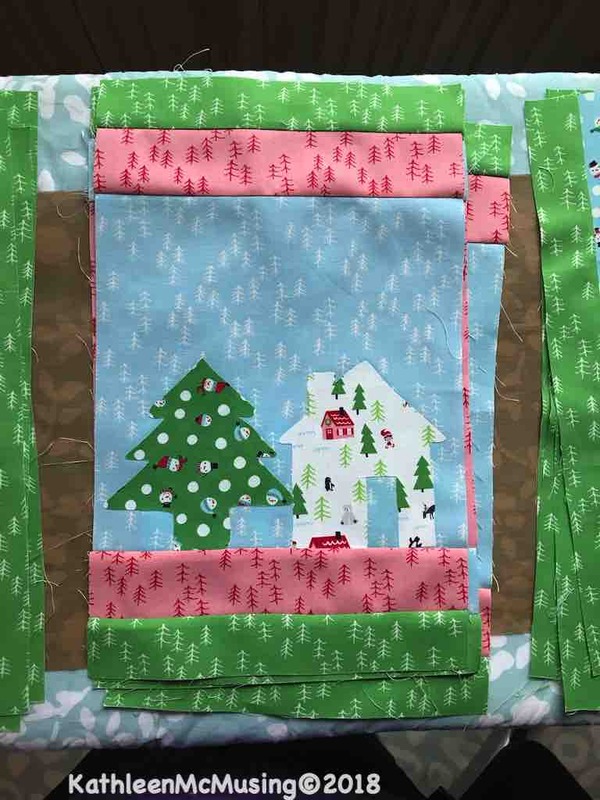 Trace 2 houses on each fabric for the houses, trace 4 trees. Cut them out. Sew around images, I used invisible thread and a small zig zag (1.5, 1.5 settings on my machine. Assemble the runner, attaching Left Strip Set/Block/Right Strip Sets. Finish as Desired: I pillow-cased these placemats, directions follow. Layer the top and bottom right sides together on top of the batting. Leave a hole to turn the placemat right sides out. 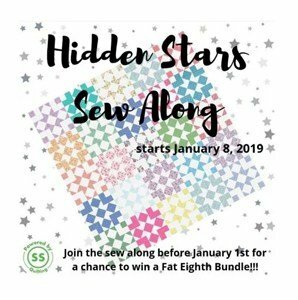 Sew together with 1/4″ seam. Trim Corners. Push out corners through the hole and turn inside out. Roll the edges with your fingers and press. 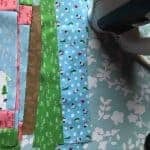 Use a narrow stitch to go around the placemat. 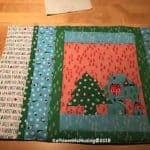 Quilt as desired ( I went down all the long seams and around the inside of the block). Now for the reason you are reading this….the cookies! The cookies I’d like to share are Quick Fudge Cookies. These are fast! fast! fast! I have made these a gazillion times, and for my allergic son I substituted the following: margarine for butter, more oatmeal/coconut for the nuts/soymilk for the milk. It works just fine. I made these in less than 15 minutes while making dinner the other night. Here is the giveaway Alpine Ice bundle – given to me by Island Batik. Very easy – please leave a comment with how you follow my blog. Comments need to be made by 11:59 PM December 3rd! Here are the others blogging today….Enjoy visiting them. What a cute idea to make the placemats. Thank you for the directions. 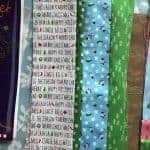 That is a very cute line of fabric! The cookies look great. I think I had some at a party once and I liked them. 15 minutes? I can do that! 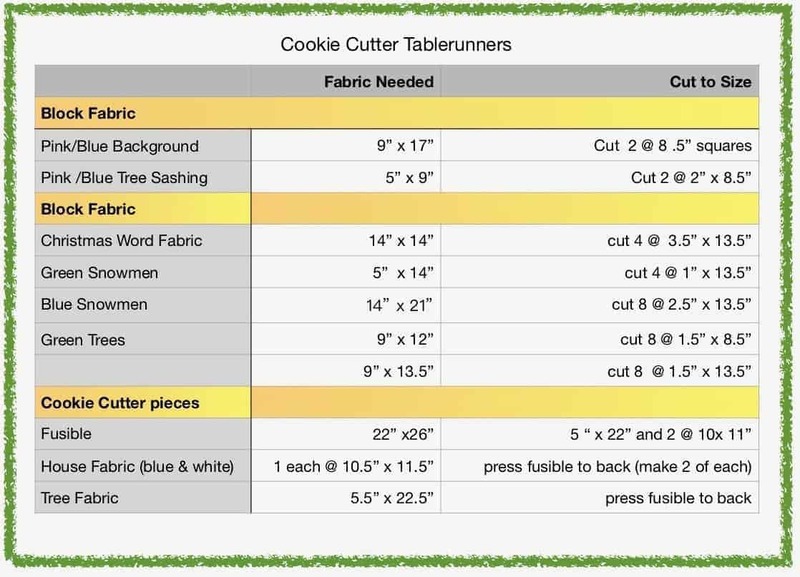 Love the cookie cutter place mats …. and the cookies recipe! thank you – I am a follower on Bloglovn! I love this cookie. My mom always made them and now I try to. They are perfect to make little birds nests with jelly beans and Easter time too. One of my favorite fabric designers is Stacy Iest Hsu and those place-mats are too cute. Thank you for your fun post. Merry Christmas! The placemats are so cute! What a fun way to make a holiday table festive. I follow your blog on my blogger dashboard/GFC. 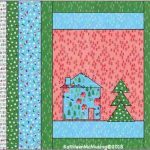 Adorable placemats and what a fabulous way to mix cookies with quilting!! Thank you for sharing your cookie recipe too. I follow your blog via email. I follow on Bloglovin. I grew up on those cookies, whenever we needed a little sweet we would make these. My kids loved them too so I continue that tradition almost every year. The placemats are adorable! 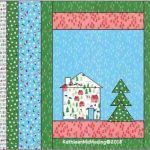 Your placemats are really cute–what a great idea you had! I love that fabric too. Those no-bake cookies are the best! I used to make them a lot but since our kids grew up, I stopped. Yours make me hungry for them again. I confess I do not follow your blog but enjoy it when you are on a hop such as this one. Thanks for sharing. Great placemants, they look so festive. I love no bake cookies! Have a great day. I love your placemats!! I am really drawn to the designs with homes in them, and have put that one my bucket list. I also love your cookie recipe. I, too, have made it a lot and it is one of my son’s favorites. I was pondering what to make with my Jolly box fabrics too. The placemats are a great idea! Those cookies look yummy, and so easy! I have to add that to my ever-growing cookie list. Thanks, Kathleen! I love these cookies. Years ago on the box of Quaker Fruit and Oatmeal they would print different oatmeal recipes. Once they had a chocolate oatmeal cookie recipe and they were the best. It was different than the current chocolate oatmeal cookie they have on their website. Gee I miss eating all those cookies. I am an emaiL subscriber Love your little houses.. The placemats are cute, and the cookies sound delicious. I follow through Bloglovin. follow at Bloglovin’ and Lovin the Placemats! 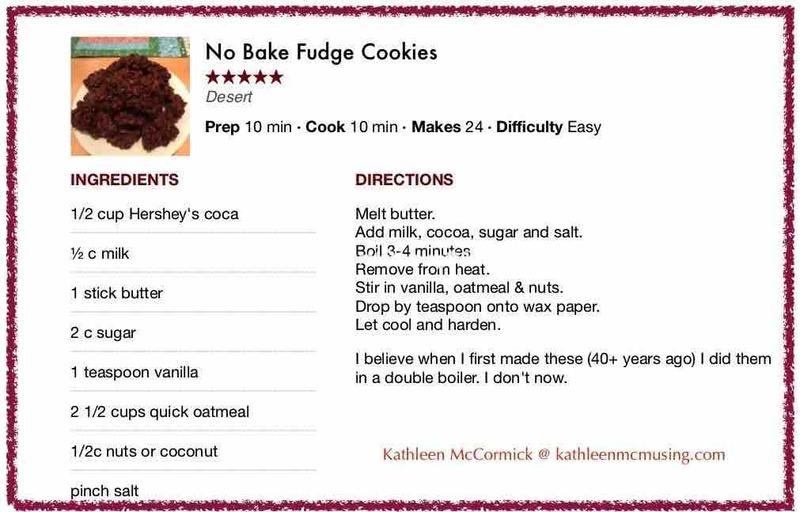 We love those no bake fudge cookies. What better way to eat them but with fabulous placemats on the table. Have a very Merry Christmas! I love your placemats and the no bake fudge cookies!! I receive your blog posts in my inbox via email! 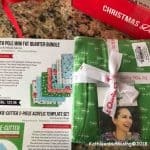 Thanks for the opportunity to win this awesome fabric! I follow on bloglovin’. The cookies look yummy! Cute placemats and your cookies look awesome. It all make sense. The cookies need their own placemat. They are the star. I look forward to try your recipe and thanks for the extra tips to swap thing out if you can’t have them. I am always looking for recipes like this. I follow through blogger. 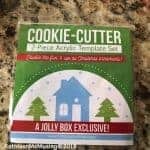 Loved your tutorial….placemats are awesome….love the no bake part of the cookies..
What a great idea to use the cookie cutters for templates! We did a craft at my baby shower to make a mobile out of felt and used cookie cutters, but I hadn’t thought of using them for quilts! I follow you via bloglovin. Cute placemats and the fudge cookies look delicious. I love anything that includes chocolate, so I’m definitely going to try these cookies. Bonus is that they are fast to make. Thank you for the recipe and the tutorial for the placemats. I’m a new follower on Bloglovin. I remember those no-bake cookies but without the cocoa and with brown sugar. They were yummy! I’ll have to try this chocolate version. Cute placemats. I just knew you’d do fun stuff for today!! Cute placemats!! and the recipe looks yummy! Thank you for the instructions for the cute placemats and the yummy looking cookie recipe. I follow you on Bloglovin and via email. Such cute placemats. And no bake cookies are a winner every time. So…your a new blog for me. I’ve added you to my reader, Feedly, so that I can follow you. 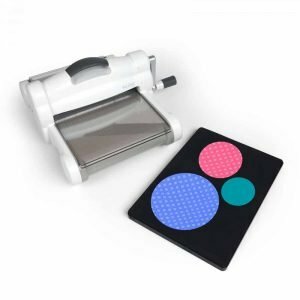 The runner couldn’t be any more perfect – Cookie Cutter Runner! I must make these cookies for my son. He talks about a no-bake cookie that he had growing up when he was elsewhere. I’ve never been able to duplicate what he remembers. This may just be the recipe we’ve been looking for. Thank you. Very cute place mats! 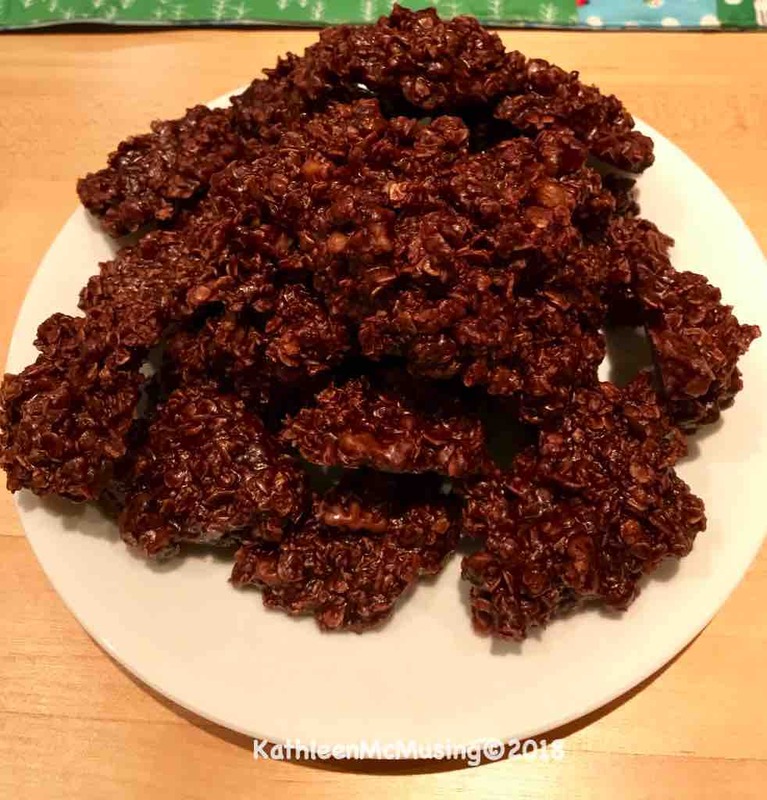 My family loves Classic No Bake Cookie that is very similar to this one. I love coconut, so I will give this one a try. I remember my mother making these cookies when I was a kid–they were so good! I’ve tried several times, but they always turned out a sticky mess and nothing like I remember. Might need to try again. I follow by email. Your cookie cutter placemats make me want to make an appliqué quilt using all my mother’s vintage cookie cutters. 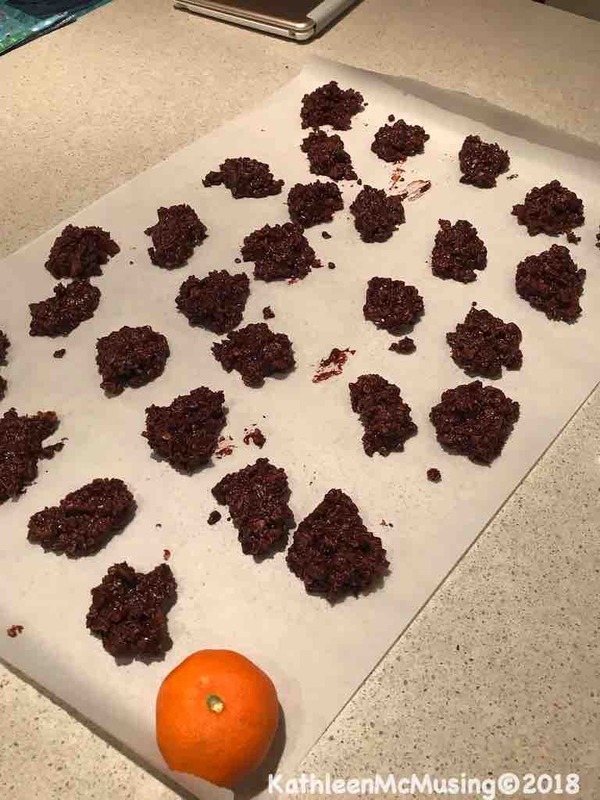 Great cookie idea for Christmas, Kathleen! I made those with the children when they were little. 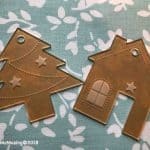 Great use of your Christmas fabric and cookie cutters! I follow by email. Those cookies sound really tempting! We don’t have an oven, so I might have to try them 🙂 And your placemats are very fun! I follow your blog via email. I happily follow your blog by e-mail. 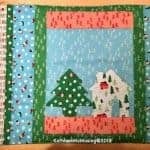 Thank you for sharing these adorable placemats and cookie recipe. Those cookies sound tasty and I was delighted you included an allergy friendly version as one of my family is dairy free and another is wheat free. I’m looking forward to giving this recipe a go! Loving the cute placemats too. I follow your blog by email. Love the new way to use cookie cutters. 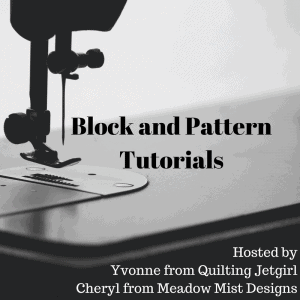 I’ve never done applique before – but you make it look so cute and easy to do. And we make a lot of cookies at my house so cookie cutters on a placemat is the best idea. PS I now follow you on bloglovin. 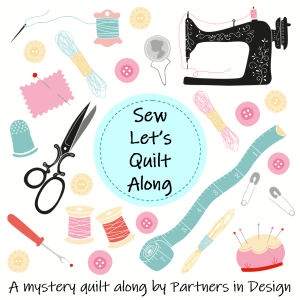 Looking forward to seeing more projects!